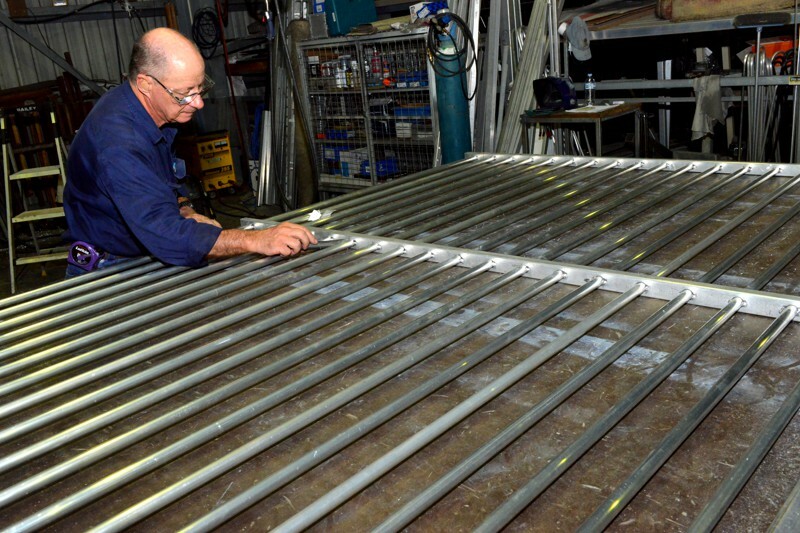 Whatever your needs in fencing - pool fencing, Colorbond, Weldmesh, tubular aluminium and steel or timber, The Fence Shop can manufacture, supply and install the fence you're after. Our extensive range of fencing products, gates and accessories are manufactured locally for superior quality and prompt distribution. We also supply treated timber for fencing and landscaping at a reasonable price. With over 30 years experience in the fencing industry, we have the knowledge and expertise to successfully meet all of your requirements. We understand that your pool area is important to your family's lifestyle and you don't want it obstructed by an unsightly fence. The Fence Shop supplies high-quality glass pool fencing and custom-made aluminium or steel tubular fencing. We work with you to ensure that our pool fencing meets your requirements and Queensland's stringent pool fencing regulations. Our tubular aluminium and steel fencing can be custom made to suit any slope or step without compromising safety or aesthetics and is available in a variety of styles and powder-coated colours. All our pool fencing carries a comprehensive guarantee. The Fence Shop is proud to supply Colorbond fencing backed by a 15-year guarantee from BlueScope Steel. Colorbond is as maintenance-free a product as you can get. Finished identically on both sides it is manufactured to withstand the harshest of conditions. Pre-painted steel, it won't crack, chip, peel or warp, and is resistant to fire and termites. Colorbond is available in a huge range of colours that will complement any decor. You can also use Colorbond in conjunction with other fencing materials from The Fence Shop for a unique look. A long lasting, reliable and inexpensive way to meet your fencing needs, Weldmesh is lightweight, robust and wide-ranging in its uses. Galvanised panels are available in 3.0 metre and 2.4 metre lengths which can be powder coated in a large selection of colours to suit your requirements. Weldmesh is a clean, tidy and unobtrusive approach to fencing and will stand the test of time because of its quality design and durable manufacture. Weldmesh from The Fence Shop is a quick and easy way to create fencing whether in a domestic or commercial environment. The Fence Shop has extensive experience in timber fencing and gates on both large and small properties. Paling, picket, log, post and rail - timber fencing is extremely versatile and can be installed almost anywhere, including difficult sloping sites. The typical 2.4 metre paling fence provides excellent privacy and is ideally suited to suburban backyards and as a boundary for large-scale residential sub-divisions. All our timber products are fully treated to ensure their longevity and all our fences, from suburban fencing through to large-scale rural fencing, are constructed with care and precision. Chain wire fencing is ideal where functionality, security and cost-effectiveness are primary concerns. Industrial properties, schools, sporting facilities and anywhere that requires a nofuss, budget fence that's unobtrusive, long lasting and provides good security will benefit from chain wire fencing. Chain wire fences support both swinging and sliding gates, which are custom made to suit the individual application. Very economical and extremely durable, all the components of are chain wire fence are galvanised - wire, posts, rails, braces, gates, fittings - ensuring they'll last for many years with minimal maintenance needed. We stock all the Gallagher power (electric) fencing products you need to build a safe, cost effective electric fence system. Electric fences offer many advantages compared to conventional non-electrified fences. Delivering a short, sharp but safe shock that animals soon remember, they act as a psychological barrier and are avoided, thereby reducing injury to stock and wear and tear to the fence. Costing as much as 50% less to erect as traditional fences, electric fences are also easier and quicker to build, saving both time and money. The Fence Shop stocks both portable and permanent power fences with the flexibility to be powered from mains, battery or solar/battery combination. Our selection of security fencing is designed primarily for commercial construction and mining sites. It is also suitable for industrial, commercial and residential properties that require securesite systems (jails complexes etc.) 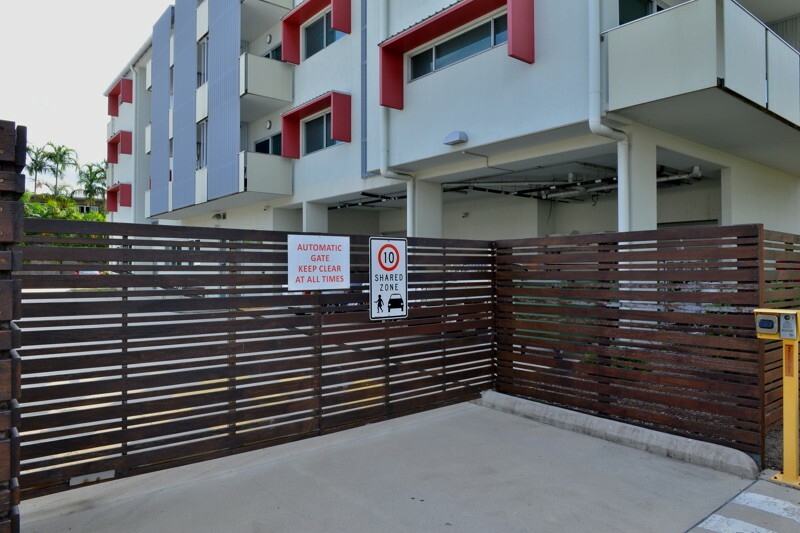 Our products include: Exempla™ Industrial Security Fencing, Spearmaster™ Commercial Security Fencing, Triple Point™Palisade Fencing, Securus Weldmesh, Razor Wire Security Fencing and Securemax® 358 Security Fencing. Security fencing is ideal for sporting facilities, schools, hospitals, gas pipelines and prisons. It is manufactured to Australian Standards, designed to be tamper proof and coated for resistance to weathering. We design and custom build automated electronic gates for all commercial and residential applications. Made to order in light-weight aluminium or durable steel, our gates can be individually designed in any style and powder coated in almost any colour you desire. Our automated gates can be operated via remote control, push-button keypad, infra-red beams or pressure-sensitive switches and can be set to close automatically. For the largest range and best prices on all your treated timber supplies in Cairns and surrounding areas see the helpful team at The Fence Shop. The Fence Shop supplies treated timber products for most fencing and landscaping uses. All our fencing and landscaping timbers are treated to Australian standards; H3 for aboveground use; H4 for in-ground use. Quality is guaranteed. We also carry all hardware associated with the installation and fixing of our timber products. For whatever purpose - fencing, retaining walls, landscaping, decking, timber bollards, security purposes, swings and playgrounds, handrails or rural fencing, The Fence Shop has the experience and knowledge to advise you on the most suitable products from our extensive range. At The Fence Shop we stock a massive array of all the little bits and pieces that are needed to complete any fencing or landscaping project. 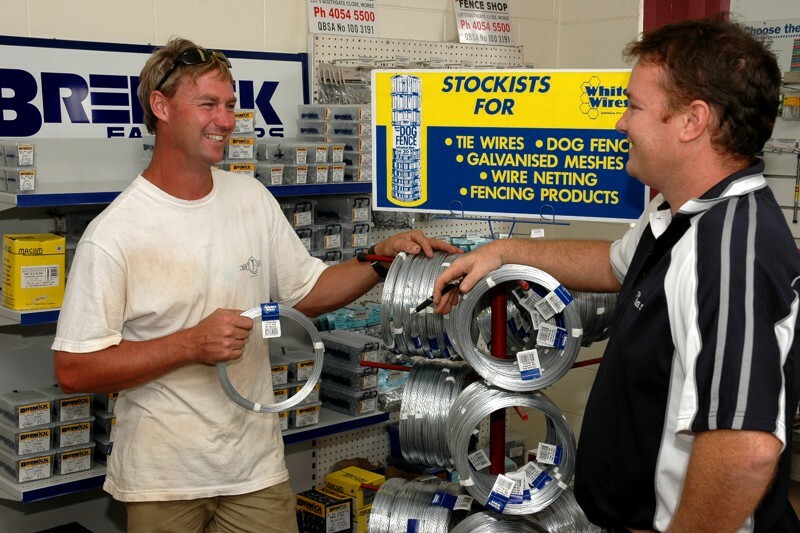 Our friendly, knowledgeable staff is available to help you choose the right gear - latches, hinges, locks, wire, nails, screws, nuts and bolts, galvanised pipe and fittings, posts - and anything else that is necessary to do the job correctly. You will benefit from the expertise and knowledge of over 30 years experience supplying and installing quality fencing systems to domestic and commercial customers, large and small alike.